Despite the apparent success of Israel’s missile defense system, its application in Asia seems unlikely. The apparent success of the Iron Dome anti-rocket system in the latest iteration of the Israel-Hamas conflict has spurred interest in how East Asian states could apply similar defensive technologies. 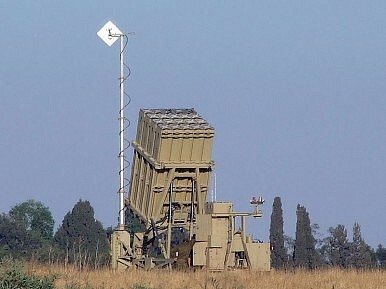 Indeed, an Israeli media outlet reported that South Korea is considering procurement of the Iron Dome system, potentially as part of a reciprocal agreement that would supply Israel with maritime patrol ships. On Sunday, Max Boot argued that the success of Iron Dome effectively justifies Ronald Reagan’s 1980s-era concentration on the Strategic Defense Initiative, a missile defense system expected to defeat a Soviet nuclear attack. Demonstration effects matter; does the success of Iron Dome have implications for rocket or missile defense in East Asia? To begin, Boot is simply wrong about the history of missile defense. Reagan’s invocation of “Star Wars” may be the most readily available example of missile defense advocacy, but engineers have worked on the problem of shooting down ballistic missiles since the 1950s. Not every missile defense system is a legacy of Reagan, and the (measured) success of Iron Dome does nothing to validate the flight of fancy that the 1980s era Strategic Defense Initiative represented. The extant missile defense systems fielded by the United States and Japan differ considerably in detail and conception from Star Wars, in no small part because of the technical infeasibility of Reagan’s program. Some aspects of modern missile and rocket defense do derive from 1980s-era Ballistic Missile Defense (BMD) research, but other aspects (including much of the SM-3 program that uses naval platforms) developed independently. More importantly, the technical and strategic challenges of shooting down ballistic missiles differ considerably from those of shooting down unguided rockets. BMD shares with rocket defense some common technological ground; both require fast reaction time and impressive sensor capabilities, and the Iron Dome project has benefitted from technical work on missile defense. However, ballistic missiles in flight behave differently from unguided, sub-atmospheric rockets. Perhaps more importantly, states capable of building and launching ballistic missiles can also develop a variety of countermeasures designed to defeat missile defense systems, an option unavailable to Hamas. The success of Iron Dome does little to indicate that BMD systems fielded by South Korea, Taiwan, or Japan could defeat a massive Chinese or North Korean ballistic missile onslaught. Second, apart from some aspects of the Korean conflict, East Asia has no easy military analogue for the operational details of the Israeli-Palestinian dispute. The Korean De-Militarized Zone (DMZ) regularly sees provocations, but North Korea has not embarked on a strategy of harassing South Korea through rocket bombardment. If it did, South Korea would probably respond in a far more robust manner than simply defending its airspace. The Gaza situation is perhaps most historically reminiscent of the 1950s era conflict between Taiwan and the PRC over offshore islands, but both sides have moved on from that sort of fight. The fiscal problems presented by defensive technologies also bear some mention. Due in no small part to the largess of the United States, Israel has the luxury of spending tremendous resources on the task of mitigating damage from rocket attacks. This does not change the fact that ballistic missiles cost much less than the systems designed to defeat them; much, much less. In an important sense, missile defense systems are asymmetric; they make strategic sense insofar as very wealthy countries can use them to mitigate threats from considerably less wealthy states. This dynamic may describe the relationship between North Korea and the triumvirate of South Korea, Japan, and the United States, but it surely does not apply to the People’s Republic of China-Republic of China (Taiwan) relationship, or even to that of China and the United States. If China ever decided to bleed Taiwan with a ballistic missile campaign, even a relatively effective defensive system could not prevent the attrition of Taiwan’s economic and military capabilities without outside intervention. And so while Iron Dome appears technically impressive, it’s use has only limited lessons for the pursuit of missile defense technologies in East Asia. One size does not fit all; the applicability of Iron Dome to the Israel-Gaza conflict has few implications for broader questions of missile defense, whether in historical context or in modern defense policy. China and Taiwan are both seeking significant upgrades to their air defense systems in the years ahead.